joshgnel @bluemattersoda Hey mate loving your work, I was over the moon when i found that someone was selling a warratah online. 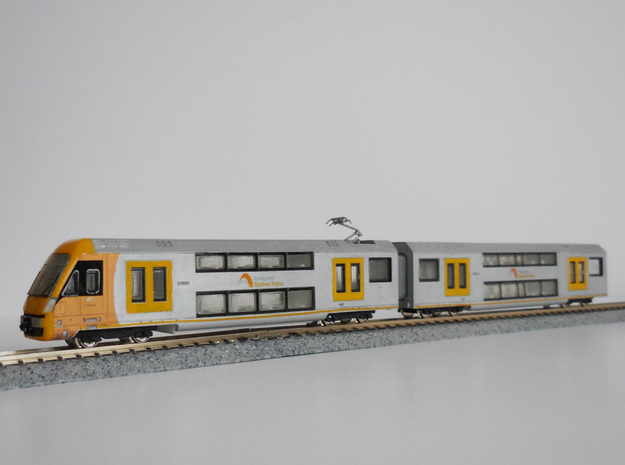 Im a 19 year old from sydney that is beginning to into the whole model trains scene as well as trying to learn how to use a 3d printed to start a similar project to this one day. I have plenty of mates who a street artists who have an obsession with the tangarras and S-sets and if your were to make them in Ho scale youd make more than pretty penny, and i know for a fact atleast 5 + mates would buy a 4 car set of both the moment they come it. Anyways keep up the good work!